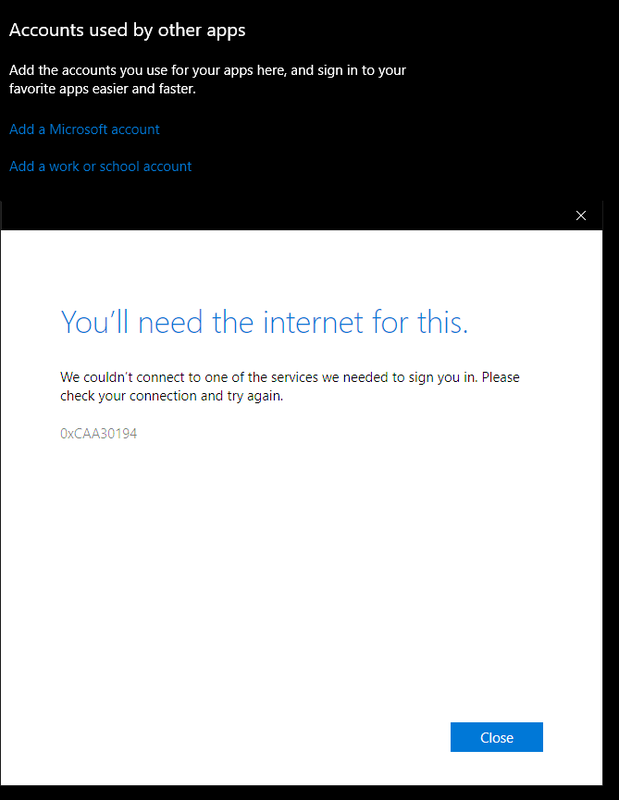 For the last few weeks, months that I was working on Windows 10 Insiders release I was having problems to do anything that was related to Microsoft account. I couldn't open Microsoft Store, add new email account under settings and yesterday after one of our Administrators migrated my account from Exchange 2016 to Office 365 my Outlook said goodbye as well. I couldn't activate outlook, I couldn't add account, I couldn't even go thru Autodiscovery phase. If this didn't work you should check this article it covers similar issue. You'll need the internet for this. 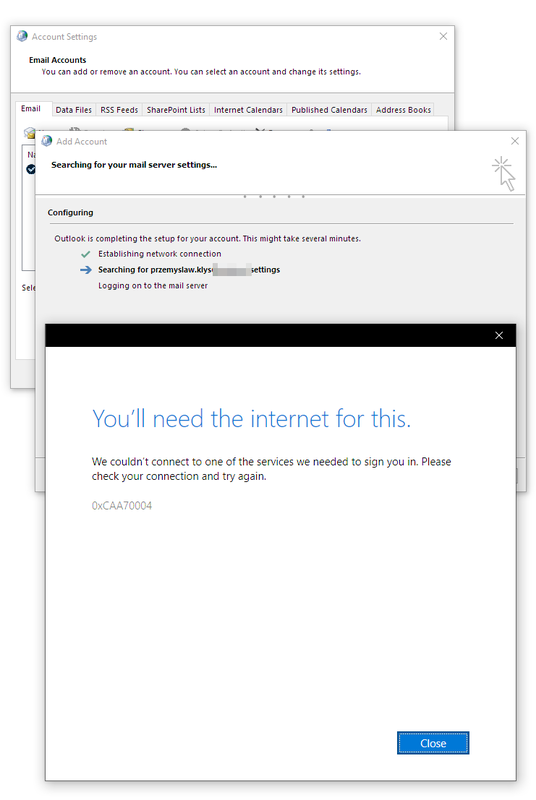 We couldn't connect to one of the services we needed to sign you in. 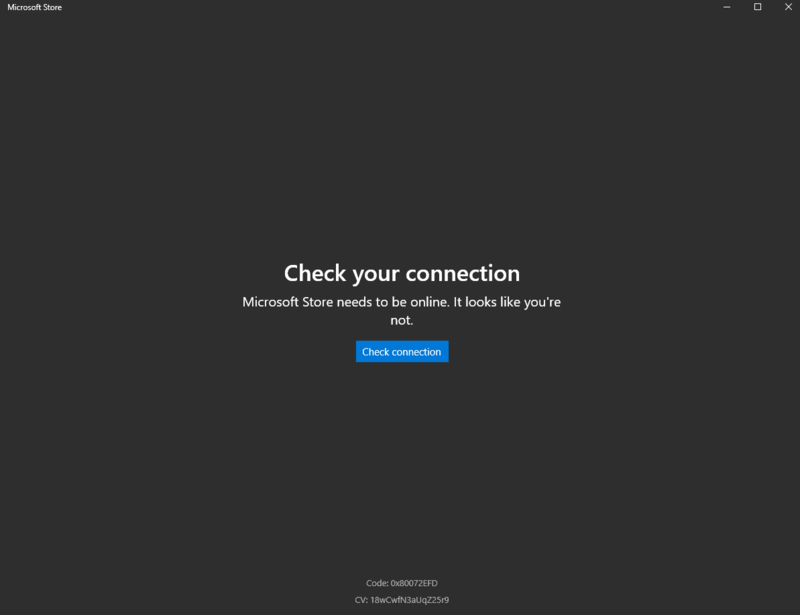 Please check your connection and try again. I was so close to throwing out my computer out of the Window… but finally it's solved… well workaround for this you can find below. A bit unexpected… but it really does solve my issue. You can see this behavior on below GIF. 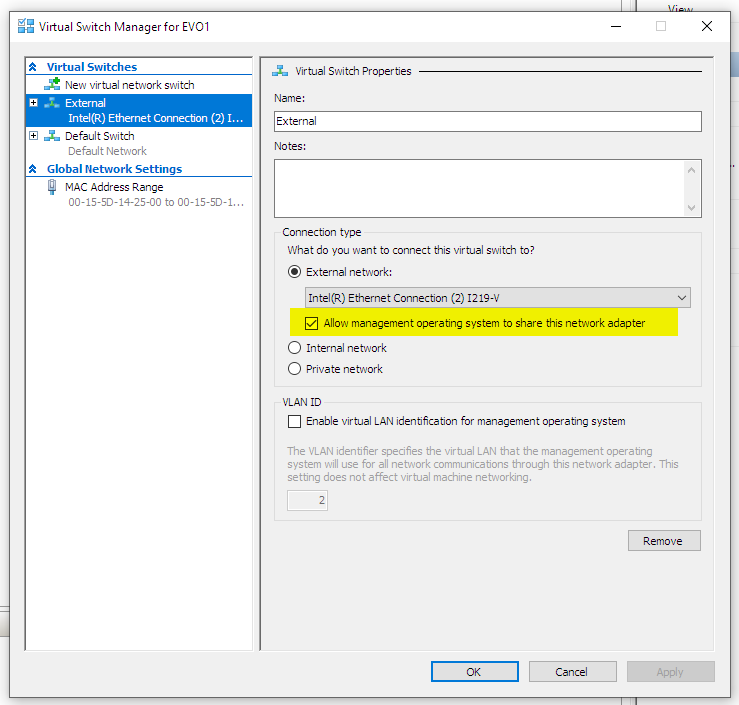 It does take a moment after you enable Allow management operating system to share this network adapter for things to be broken. So wait for it. And I can bet that this will also solve my issue of not being able to update Windows Insiders release via Microsoft Update. I always had to go thru shady websites to get .ISO and upgrade the system. I am not really sure if it's behavior is the same on Windows 1803, but it surely is visible on Insiders. PS. In case of Microsoft Store it required reboot.